Rather than build sessions and papers around individual research agendas, the conference aimed to tackle broad themes that recur in the research and teaching of those who identify themselves as “Americanists” in some way, shape, or form. As I saw it, this aim translated into a series of sessions in which classification itself was the object of focus. 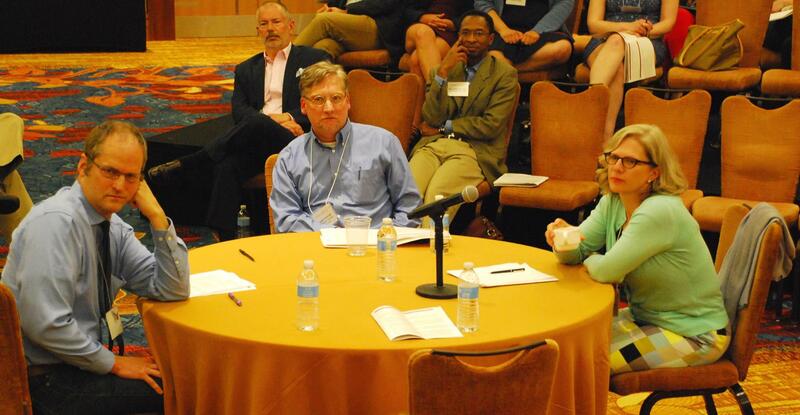 The opening session, prompted by the question, “what do we mean by ‘religion’ in a time of ‘spirituality,’ ‘lived religion,’ and ‘non-religion’?” set the tone for the conference by revealing divergent understandings of “religion” as a construct, as well as by initiating a pattern of free-floating discussion that would prove to be the rule more often than the exception. The next session looked at the merits of classifying social groups as “New Religious Movements,” “cults” or “alternative religions,” by inspecting the means through which these terms came into being, along with the political winds that shaped their fates, as well as the way certain narratives common to the subfield reinforced the hegemony of particular “orthodoxies.” This was followed by sessions looking at the utility of “global flows” as a paradigm for analysis, interrogating the construct of “Religion in the Americas” while looking at the knowledge practices necessary for transnational studies, and weighing the extent to which studies of “religion and market” or “religion and capitalism” or “religion and neoliberalism” reflected examples co-constituted classification schemes, while touching on data these schemes might generate. In one session, Richard Callahan alerted us to how easily questions of religion and “work” or “labor” can morph quickly (and problematically) into questions of “class” (only to have him be proven correct in the discussion). One session dedicated to the contemporary “currency of ‘civil religion,’” began with nearly everyone acknowledging that it was odd that the contentious category was still being discussed, but ended with many revealing (“confessing”?) that, when stripped of certain features linked to the term by its modern progenitor, the late Robert Bellah, it still resonated with people. Yet a few participants questioned whether the category’s intimate association with militant nationalisms mobilized as a precursor to war meant that we would be better served abandoning the construct entirely. 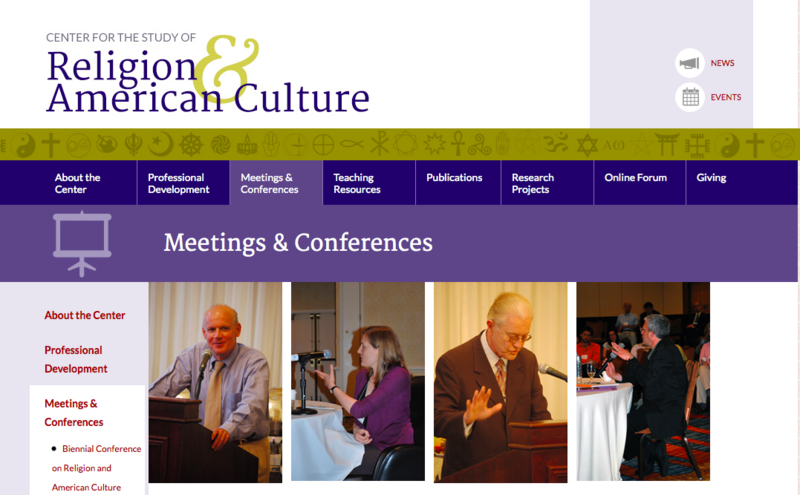 For twelve hours of conference sessions, virtually all of the participants at the Religion and American Culture Fourth Biennial enthusiastically embraced the exercise of analyzing the way scholars and others classify in order to produce their scholarship and further particular interests. Whether we were discussing “nones,” “cults,” “The Market,” “nationalism,” “civil religion,” “class,” “labor,” etc., we freely and without hesitation engaged in the analysis of how the discursive tools of our fields shape the conclusions we draw, the stories we tell, the courses we offer, and the directions of our disciplines. We dissected these terms for their political uses, the material conditions from which they sprung, the agendas they concealed, the agendas they revealed, their conditionality in relation to the times and subcultures in which they have been invoked, and the scholars and public at-large who invoked them. When the terms were defended as retaining utility, it was precisely their value to tell a particular story in a particular way that rendered them useful. In short, participants embraced a discursive analysis of the field. Yet it seemed to me that there remained one particular classificatory term whose treatment as a product of discourse (both popular and scholarly), left a segment of the room uneasy: religion. And this discomfort should not be surprising. It was, after all, the very term that lured us into planes and cars to make the trek to Indianapolis in the first place (when paired with “American”). To some extent, both the resistance to and the comfort with de-naturalizing religion at this conference fell along generational lines, but that was not uniformly the case. After all, the term “religion” is our calling card. Most of us entered graduate schools to study it, many of us work in academic departments named for it, and when people we’ve just met ask us what we teach, we often invoke it (perhaps with a modifier or two). It was, perhaps, predictable that despite nearly (and I emphasize, nearly) universal (though hard-won) acknowledgement among scholars that, at the very least, the term poses significant methodological and theoretical problems, the practical consequences of that acknowledgement actually translating into habitual, lasting transformations to the discursive regimes in which we operate would be slow to form, and would remain so for this conference. These transformations have certainly been slow to form for me, and I consider myself especially open to that change. In light of this, one might come away from the Fourth Biennial Conference on Religion and American Culture viewing it as indicative of a field that refuses to come to terms with the elephant in the room, its central generative category. But I saw it as something quite different. I saw it as a gathering of scholars who are, for the most part, deeply aware of the importance of bringing questions of classification to the front of the discussion and increasingly cognizant that the discussion itself is constituted by classificatory schemes (i.e., getting to the “meat” of the stories we tell demands that we consider what goes into identifying something as “meat” in the first place). These same scholars are, for the most part, also aware of the consequences that failing to grapple with classification can have upon the things we produce (after all, we applied that reasoning to nearly every other mode of classification over 48 hours). At the same time, figuring out how to pursue our interests, reconfigure the boundaries of our field, articulate our own place in that field, and bring a more honest and defensible understanding of what is involved in classifying something as religion to some of the questions that drew us into the field in the first place, is still a work in progress. I felt like most people at the conference were aware of this liminal state. And as such, I left Indianapolis feeling that I had witnessed a hopeful prelude to what is sure to be an entertaining, contentious, frustrating, and yet always fascinating process of reorganizing how we define our field(s) of study with new questions of classification in mind. 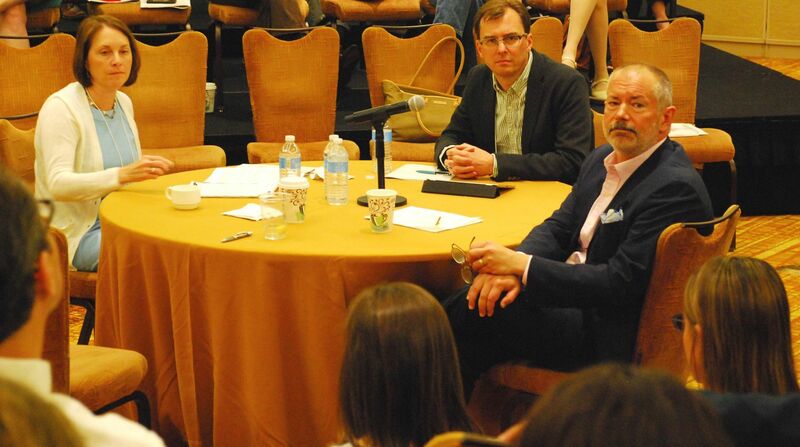 Photos courtesy of Eric Hamilton at the RAAC Facebook discussion group. This entry was posted in Guests, Relevance of Humanities, Religion in Culture and tagged #RAAC2015, Academic Study of Religion, American religion, Classification, Definition, History by admin. Bookmark the permalink.